Thomas Bache-Gabrielsen was the founder of the trading house Bache-Gabrielsen. At 22 years, the young Norwegian acquires the Cognac house E. Dupuy. Thomas XO Prestige uses oldest eaux-de-vie from the cellar - only from Grande Champagne and Petite Champagne. 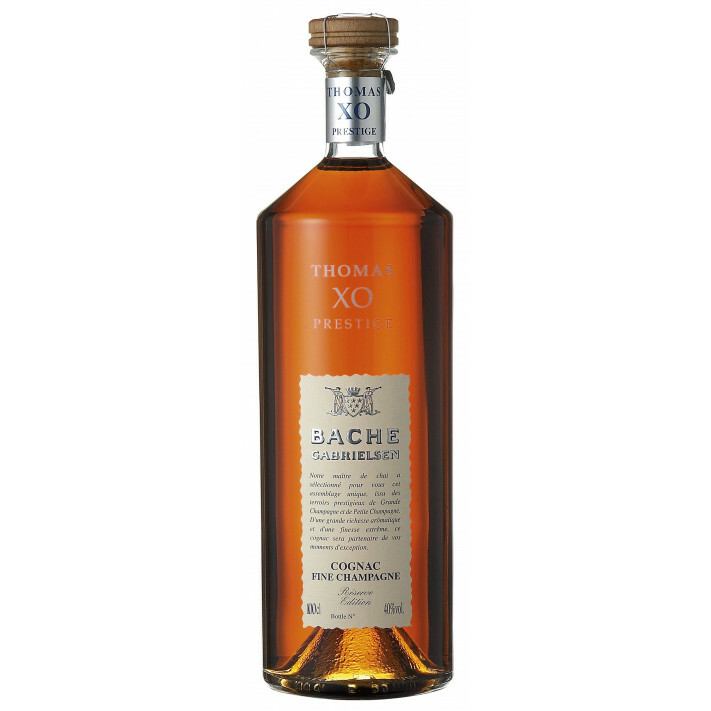 This XO was matured in smaller oak casks, for decades. This cognac is one of my favorites!<br /> Tumbs up BG!! A great XO Cognac, and for 69,50 € or $90 a very smart buy.. think about it: the Hennessy, Remy XO cognacs are more than double the price. Bache Gabrielsen have the right product, for the right price. Love the palate and the finish.